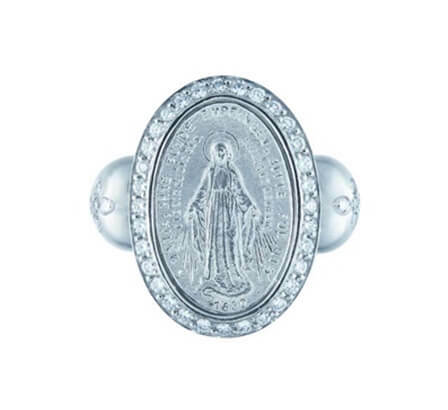 objects in a range of exclusive high-quality jewellery and to send them out into the world, as was the mission of the Virgin Mary. 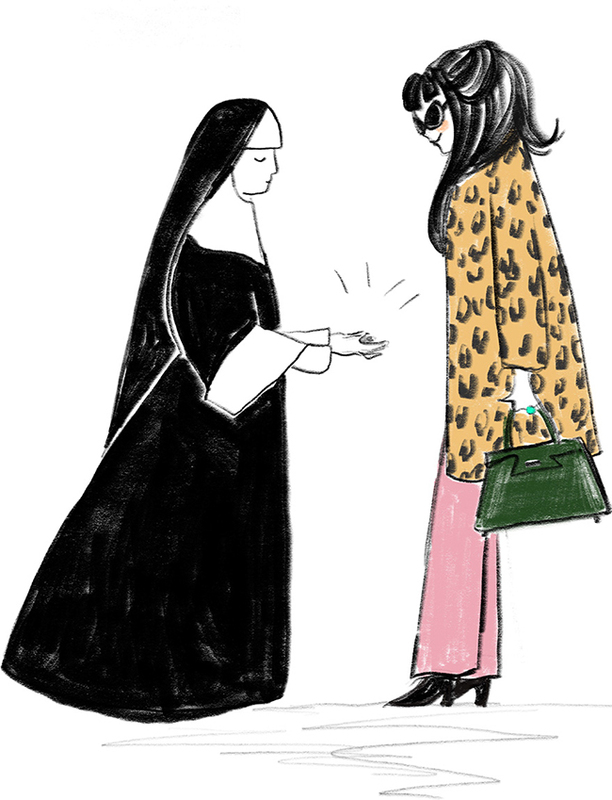 and a very special form of protection. 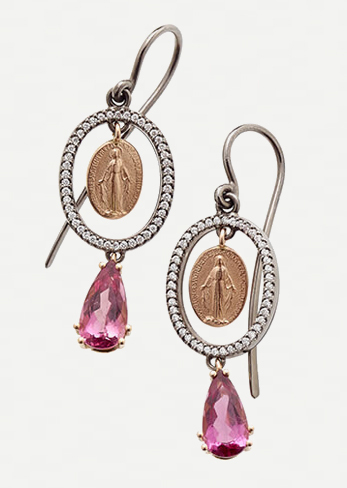 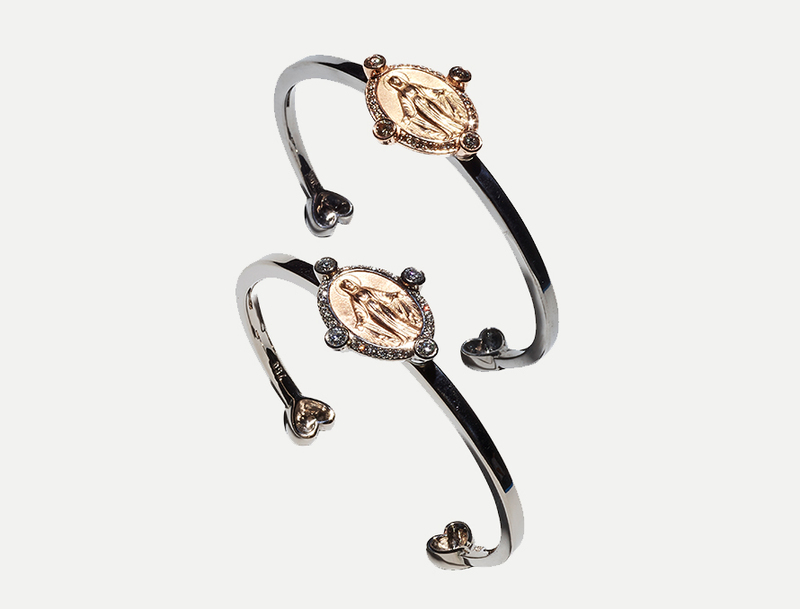 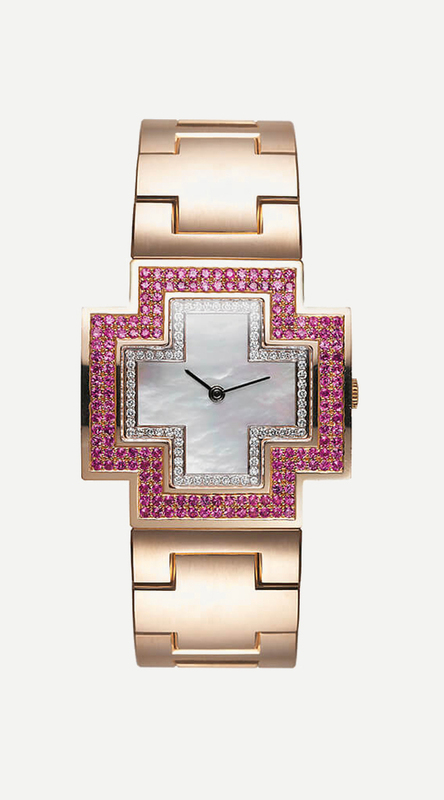 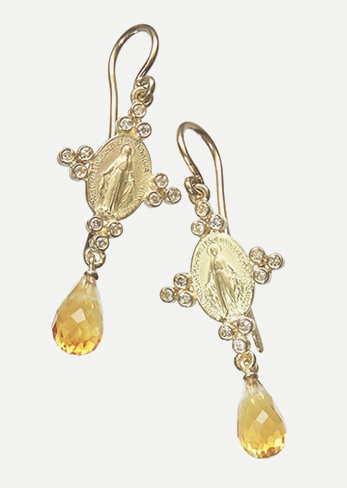 You’ll find exquisite pieces from the Madonna Collection in our Online Shop (coming soon). 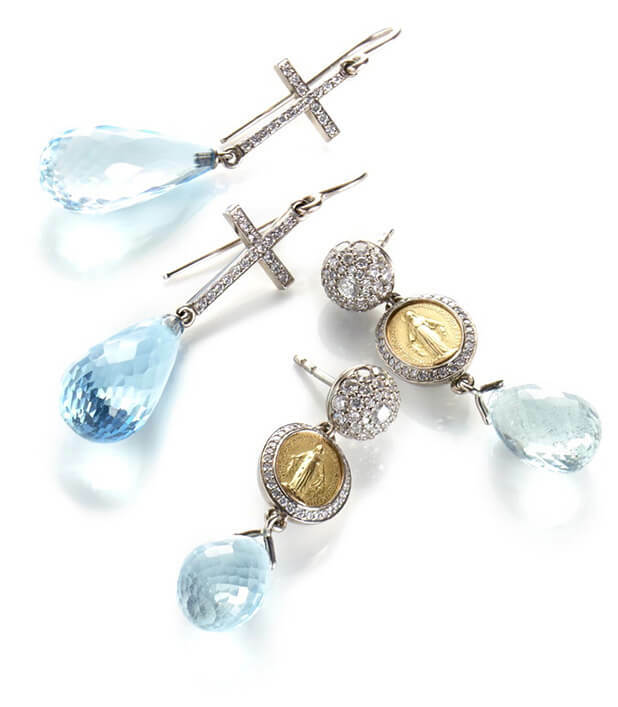 Please do not hesitate to contact us via this link with any individual requirements. 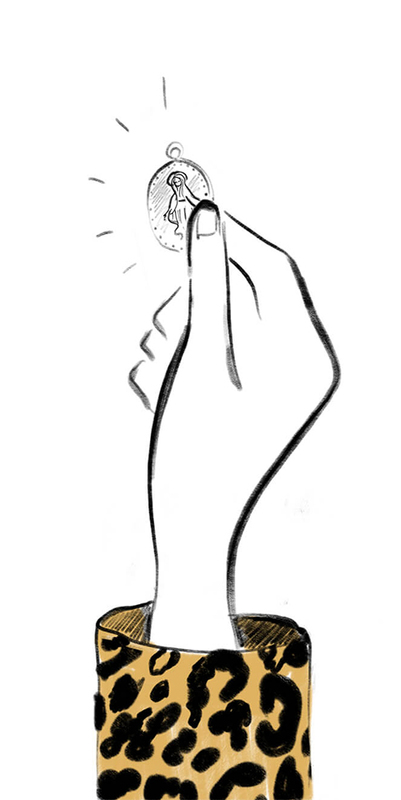 We would be delighted to assist you with any specific ideas you have in mind. 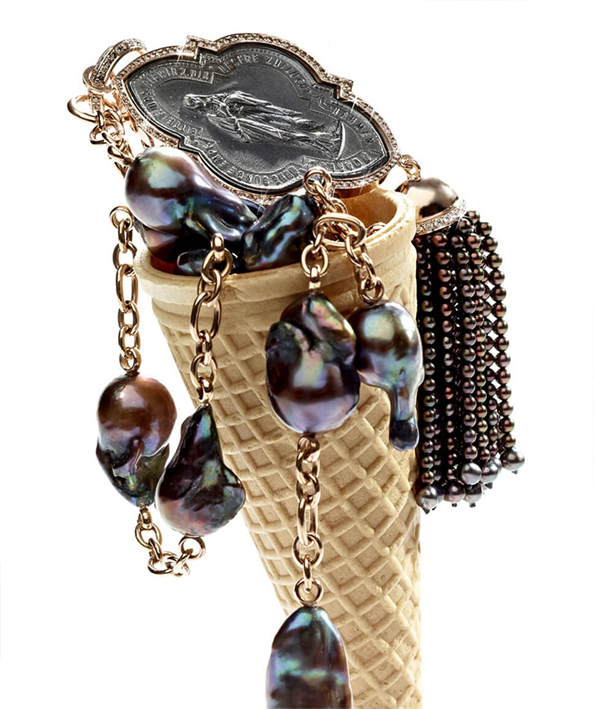 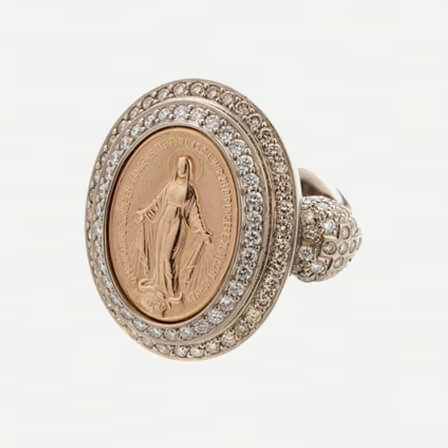 The unusual jewellery pieces in our Madonnas Collection exude a mystical aesthetic and have a wonderful history behind them. 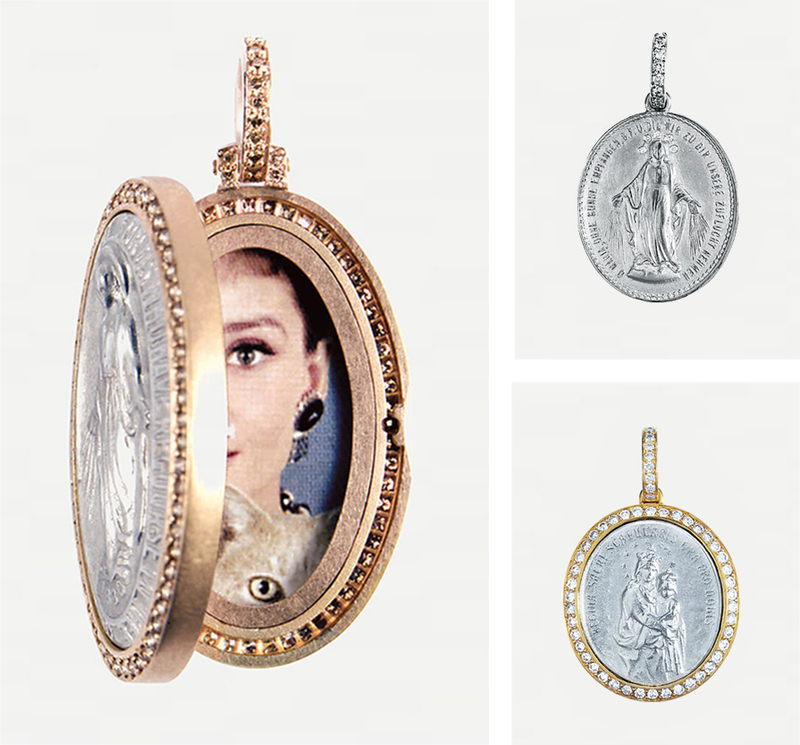 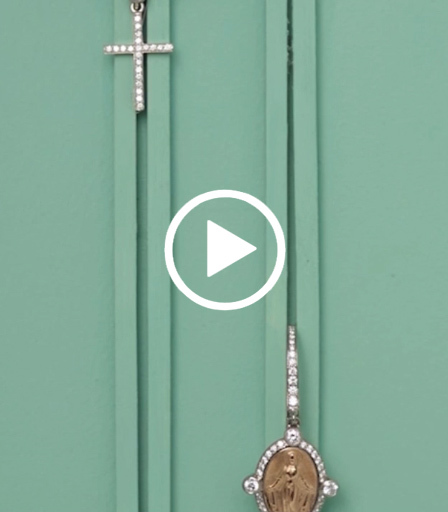 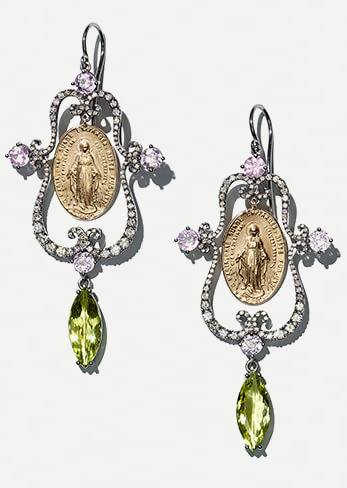 It all began with the discovery of a Madonna medallion at a flea market. 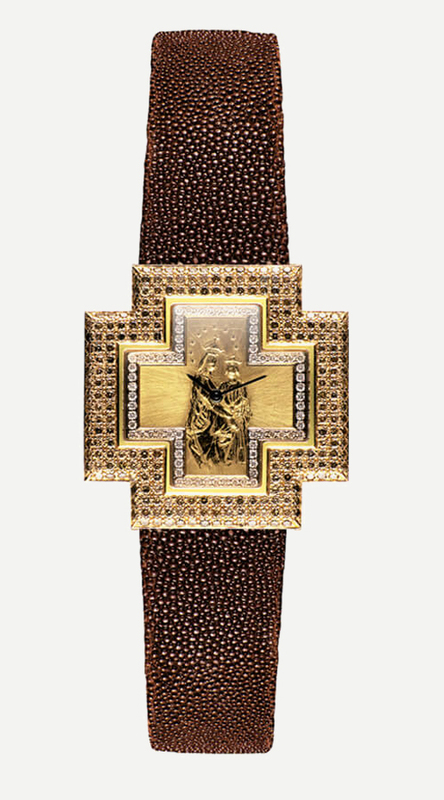 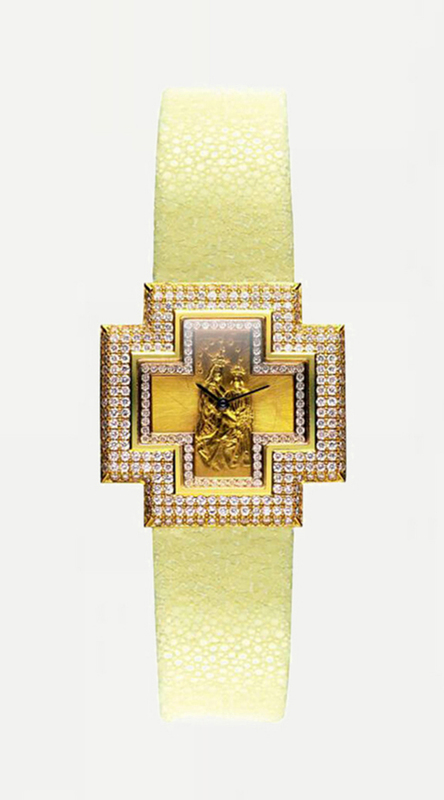 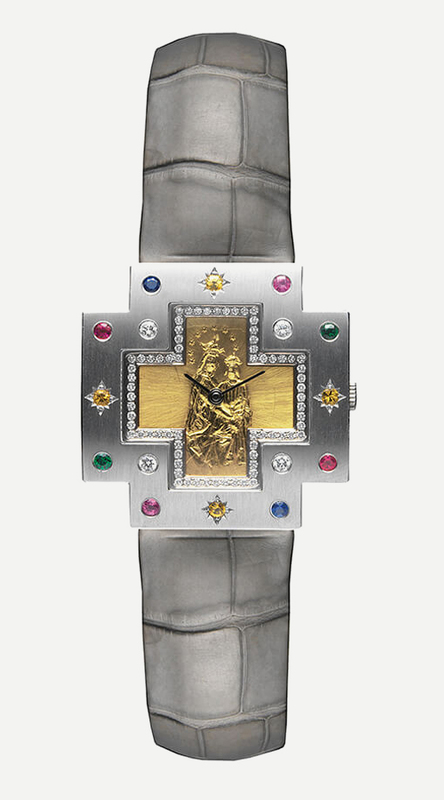 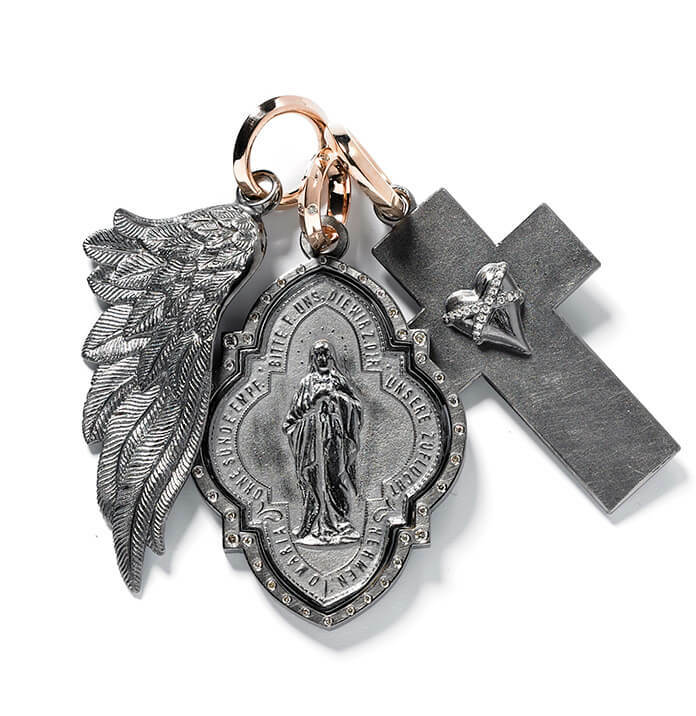 This led to the idea for a talisman collection based on the internationally famous healing medallions featuring images of the Madonna-like saint, Katharina Labouré, who died in 1876 and still today lies in the world-famous pilgrimage chapel on the Rue du Bac in Paris. 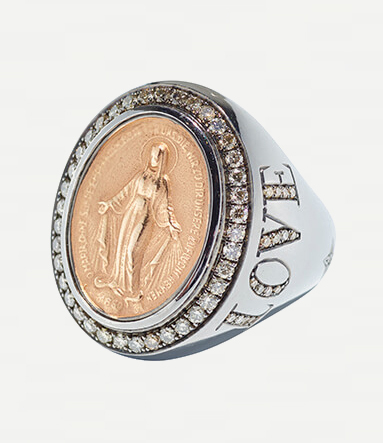 Sévigné has taken it upon itself, with the blessing of the Vincentian nun responsible, to celebrate these precious objects in a range of exclusive high-quality jewellery and to send them out into the world, as was the mission of the Virgin Mary. 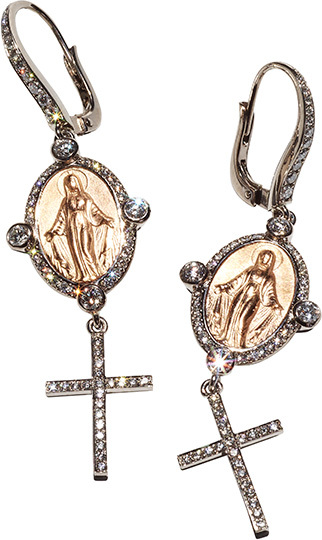 Filigree replicas of icons depicting the Madonna, opulent crucifix motifs and rosaries, with matching rings and earrings – all of the jewellery in this collection exudes a very special, powerful aura. 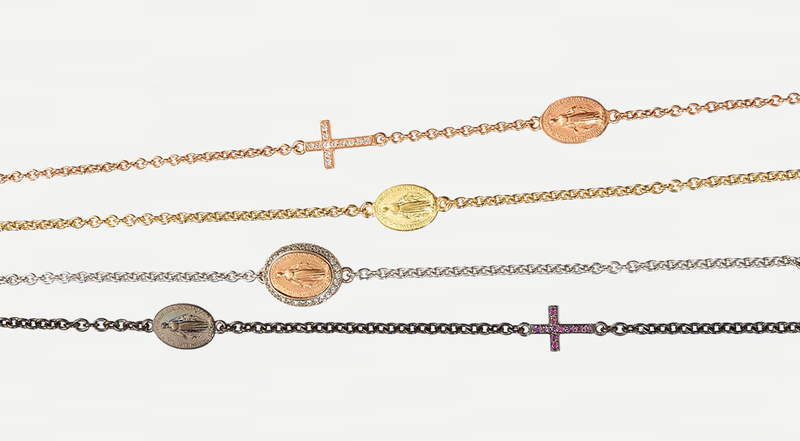 Reimbued with Christian mysticism, these jewellery pieces lend the wearer both glamour and a very special form of protection.